In the first half of 2016, U.S. state legislators introduced 1,256 provisions relating to sexual and reproductive health and rights. Of these, 35% (445 provisions) sought to restrict access to abortion services. By midyear, 17 states had passed 46 new abortion restrictions. 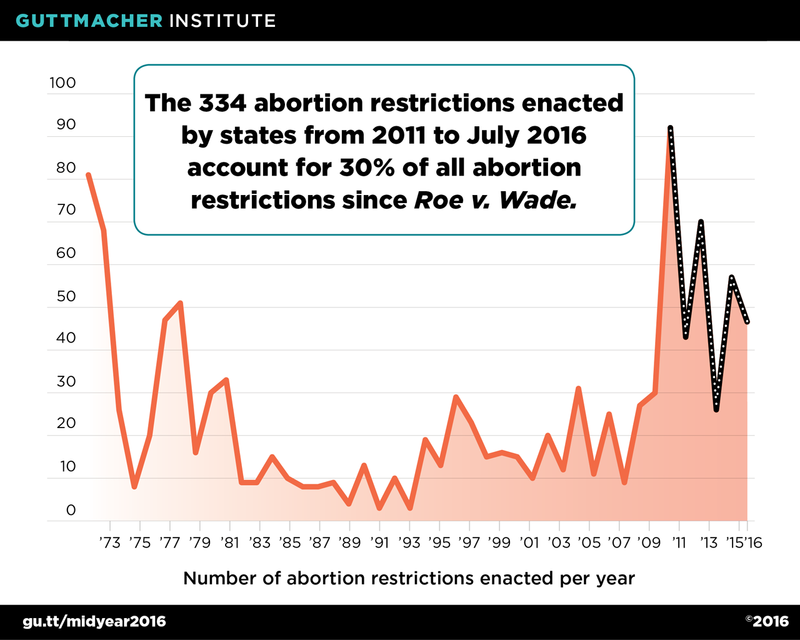 Including these new restrictions, states have adopted 334 abortion restrictions since 2010, constituting 30% of all abortion restrictions enacted by states since the U.S. Supreme Court decision in Roe v. Wade in 1973.